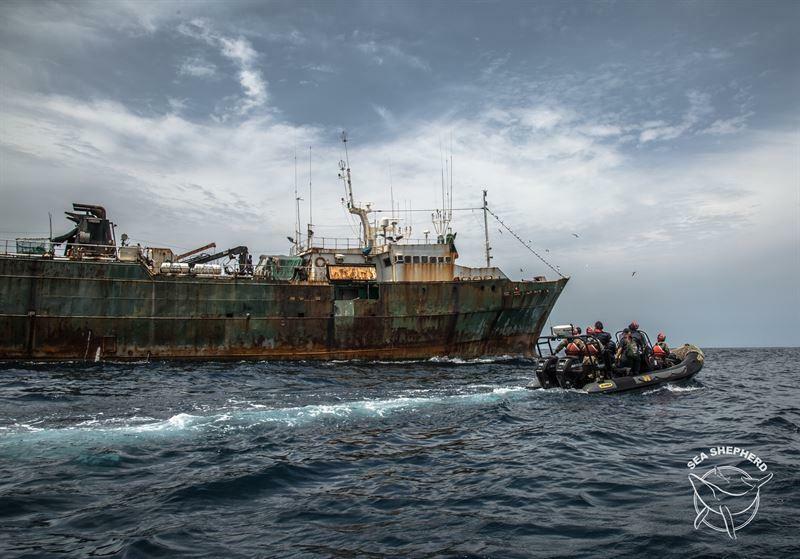 A notorious Antarctic and Patagonian toothfish poaching vessel, famous for plundering the Antarctic, was arrested on March 13th in waters belonging to the West African state of Liberia by the Liberian Coast Guard, with assistance from the marine conservation group Sea Shepherd. Operating under a long list of different names; including ‘Yele’, ‘Ray’, ‘Kily’, ‘Constant’, ‘Tropic’ and ‘Isla Graciosa’; the F/V Hai Lung is an infamous fishing vessel that has been blacked-listed by several regional fisheries management organizations (RFMOs) including CCAMLR, SEAFO and NEAFC. As a result, the vessel has been denied port access in Togo and Angola, and unofficial sources state that it was detained in Nigeria for entering Nigerian waters without authorization last year. The Certificate of Nationality was allegedly issued on the 8thof August 2017 in Jakarta, Indonesia by a senior Ministry of Transportation official who had long since been transferred to another government position. The Indonesian Ministry of Maritime Affairs and Fisheries has no record of the vessel in their databases. The forged Certificate of Nationality makes the F/V Hai Lung a vessel ‘without nationality’, subject to seizure anywhere, including on the High Seas. “On those grounds, including a long list of other violations, not least of all suspected absconsion from justice in Nigeria through bribing Maritime Security Police, the Liberian Coast Guard has decided to arrest the F/V Hai Lung_, detaining it at the Liberian Coast Guard Base in the Port of Monrovia pending further investigation”, said The Honorable Daniel Ziankahn, Liberian Minister of National Defense. 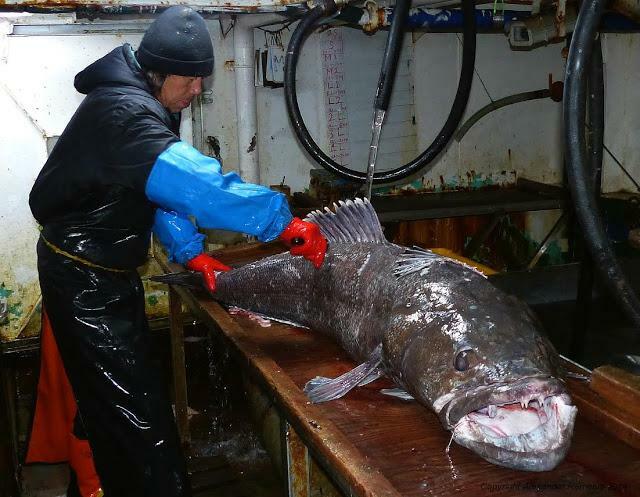 The owner of the _F/V Hai Lung is believed to be Spaniard Mr. Argibay Perez, a notorious toothfish poacher belonging to the “Galician Mafia” who has been convicted of crimes in both La Réunion (France) and Australia. In 1999, the Supreme Court of Western Australia, on fining Mr. Perez, concluded that “the applicant committed six offences that are of a serious nature and where the level of criminality was high”. Mr. Argibay Perez is also linked to the F/V Viking, a vessel that was issued an Interpol Purple Notice in 2013 before being arrested and sunk by the Indonesian Navy in 2016. About Operation Sola Stella Since February 2017, under the name Operation Sola Stella_, Sea Shepherd has been assisting the Government of Liberia to tackle IUU fishing by providing the use of a civilian offshore patrol vessel and crew operating in Liberian waters, under the direction of the Liberian Ministry of National Defense. Operation Sola Stella has resulted in the arrest of eleven vessels for illegal, unreported and unregulated (IUU) fishing. Developing countries are particularly vulnerable to IUU fishing, which accounts for up to 40% of the fish caught in West African waters. In 2016 Sea Shepherd partnered with the government of Gabon for Operation Albacore, resulting in over 80 fishing vessel inspections at sea and the subsequent arrest of five IUU Congolese fishing trawlers and one Spanish long-liner.